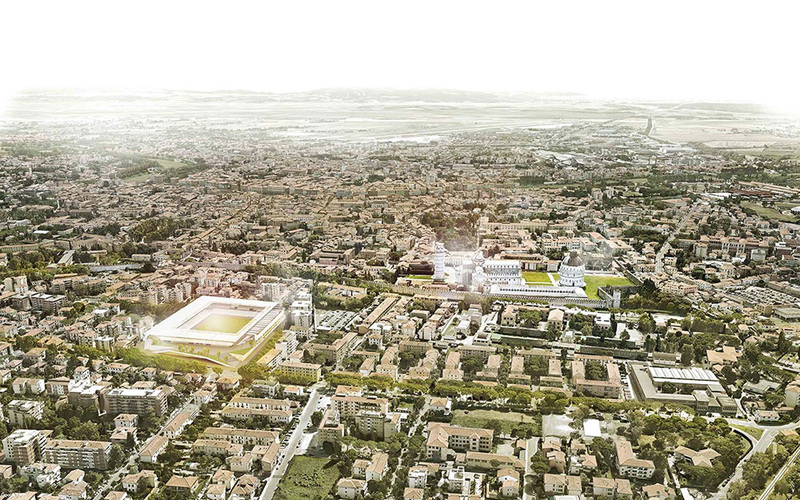 The winning concept of new Pisa stadium envisages a brand new quality leisure space near the heart of Pisa, less than 300 meters from the Leaning Tower. 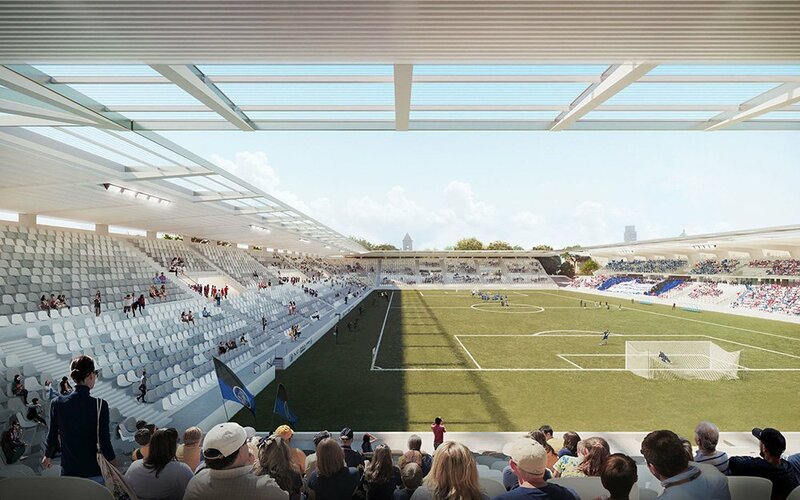 To no longer obstruct the city's skyline, floodlight masts will be demolished and lighting is to be installed under the new roof. 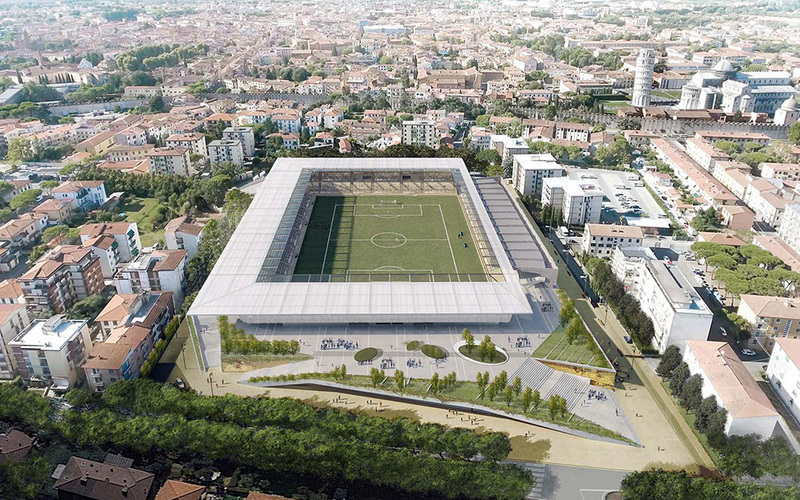 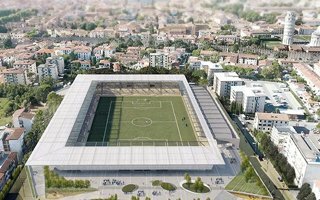 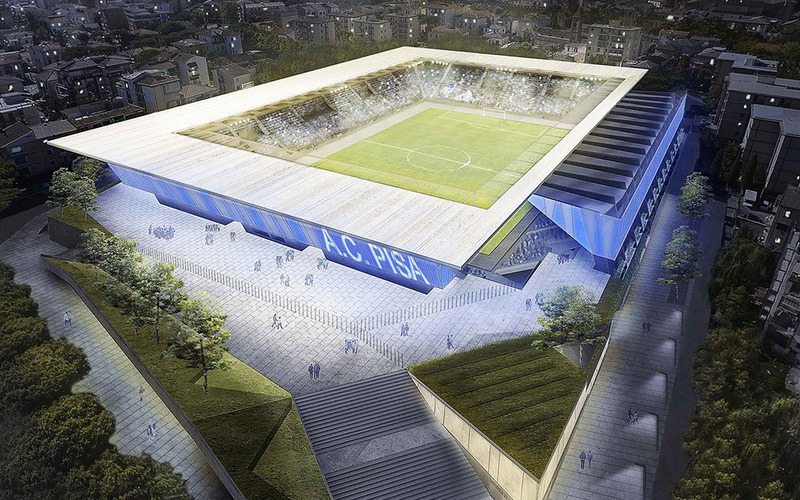 Of course the main goal is equipping AC Pisa 1909 with modern stadium for 18,000 people but what is also achieved is creation of interesting semi-open spaces for the public. 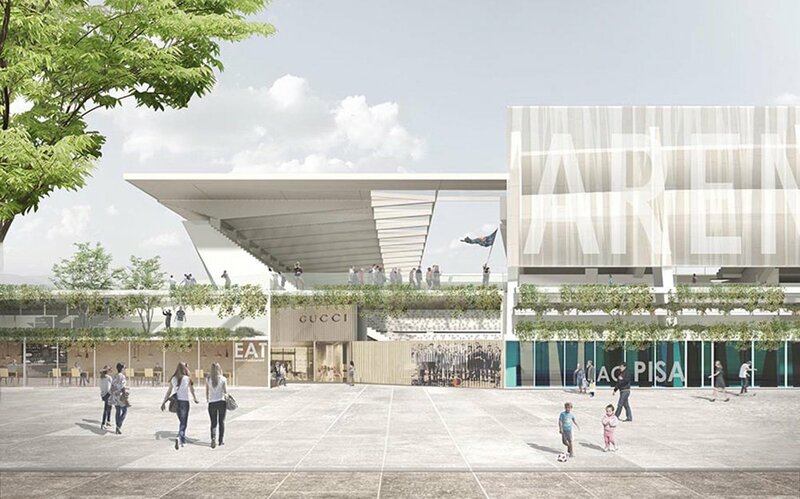 With perimeter fencing limited to only the minimum, residents and tourists will be able to walk onto the northern, plinth reaching the level of the stadium's inner promenade. 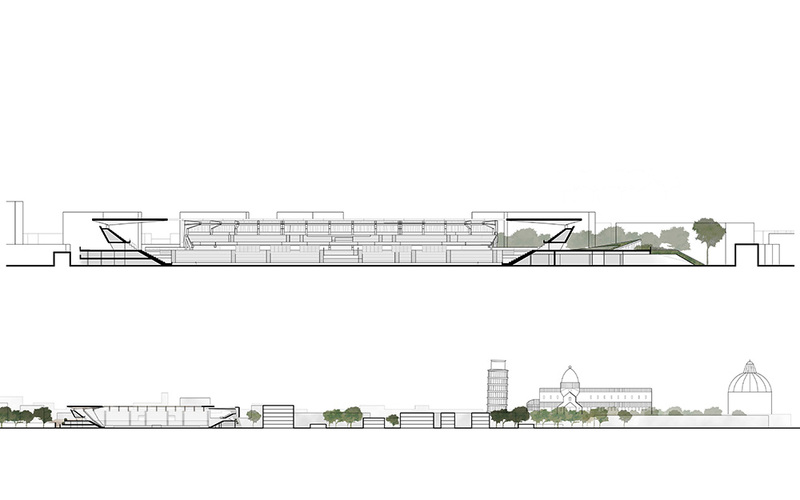 The main grandstand built in 1982 will be retained but upgraded significantly. 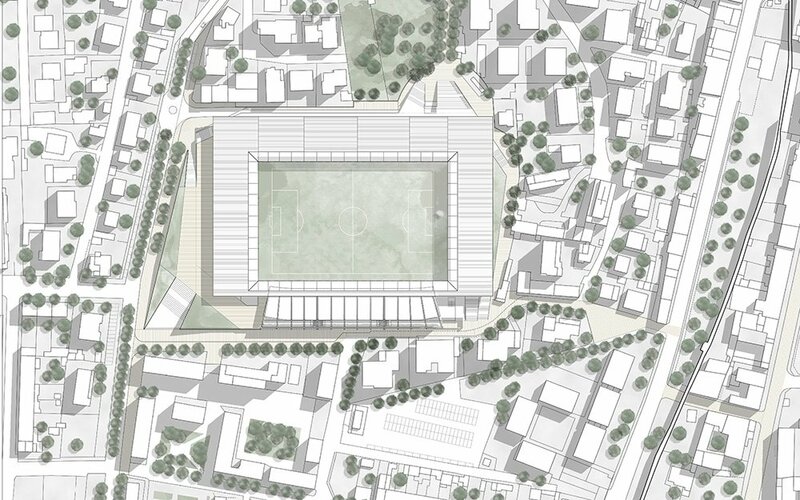 All remaining sides are to be created from scratch with the west and north side receiving rows of commercial spaces at ground level, interestingly sculpted into the stadium's overall silhuette. 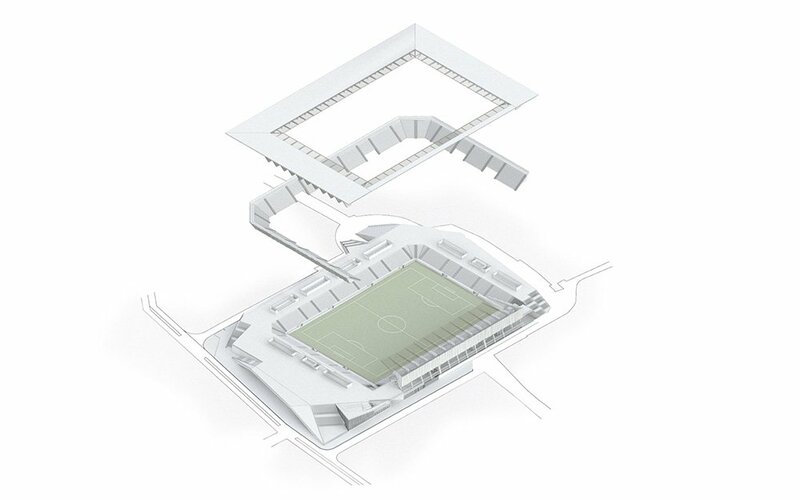 Under the south stand (and to smaller extent under others too) up to 400 parking spaces are to be created.